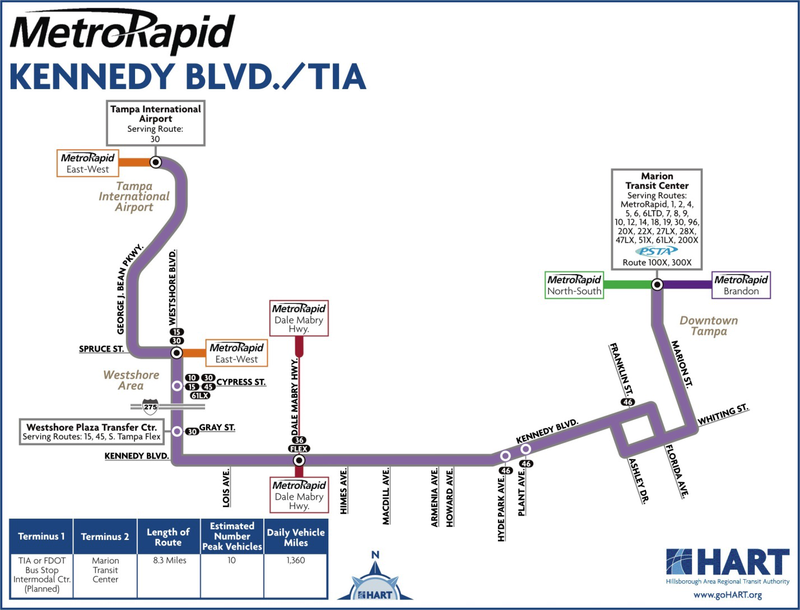 Back in May, I discussed how the MetroRapid network was largely a consolation price for the failed Tampa light rail referendum in 2010. Since then, the first line of the network, the North-South Line, has begun service and has now been running for several months. 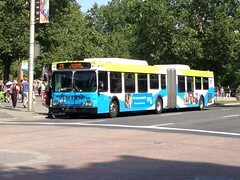 There have been some adjustments made to the route and the schedule itself, but ridership on the line seems to be doing quite well. In the meantime, work continues on the design of the East-West Line, though the actual implementation of the line remains unfunded. 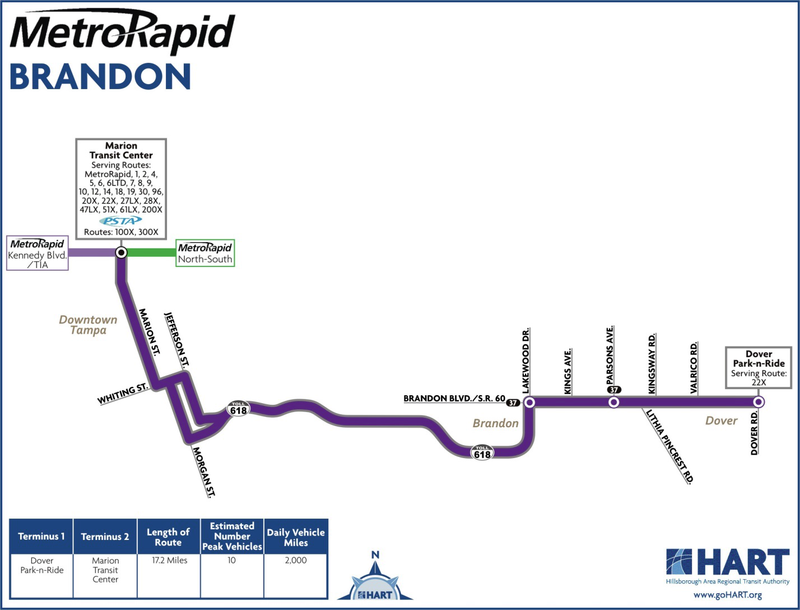 Though it’s hard to say what the timeline for further expansion of the MetroRapid network will be, we now have a much better look at what the design of the network itself will look like. 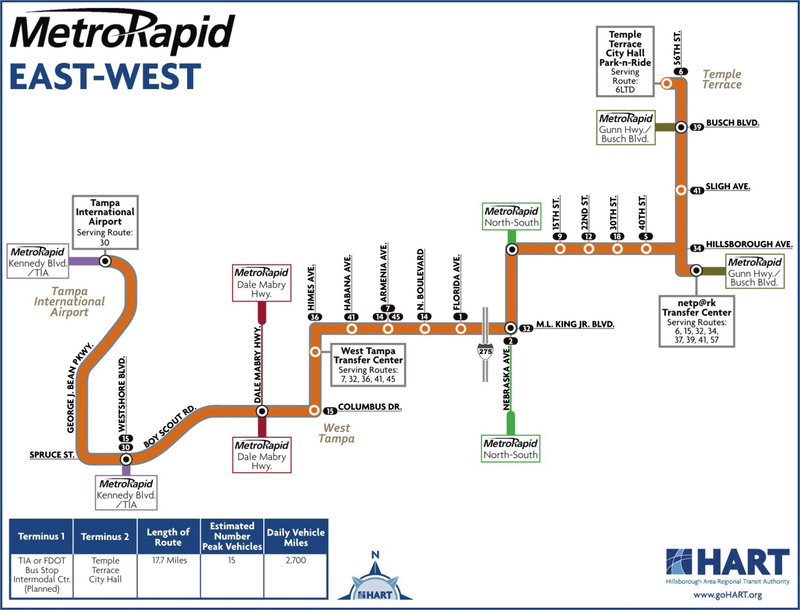 As part of the draft Transit Development Plan (TDP) for 2014-2023, maps of all the planned MetroRapid lines were included. 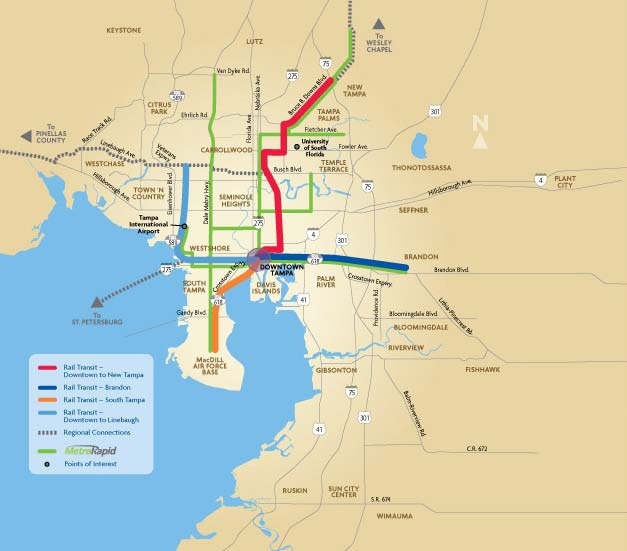 If you refer back to the map of the proposed BRT/Light Rail network from pre-2010, you can see the existing North-South Line and the planned East-West Line, along with proposed lines for Dale Mabry Highway, Kennedy Blvd/Airport, and Downtown-Brandon. 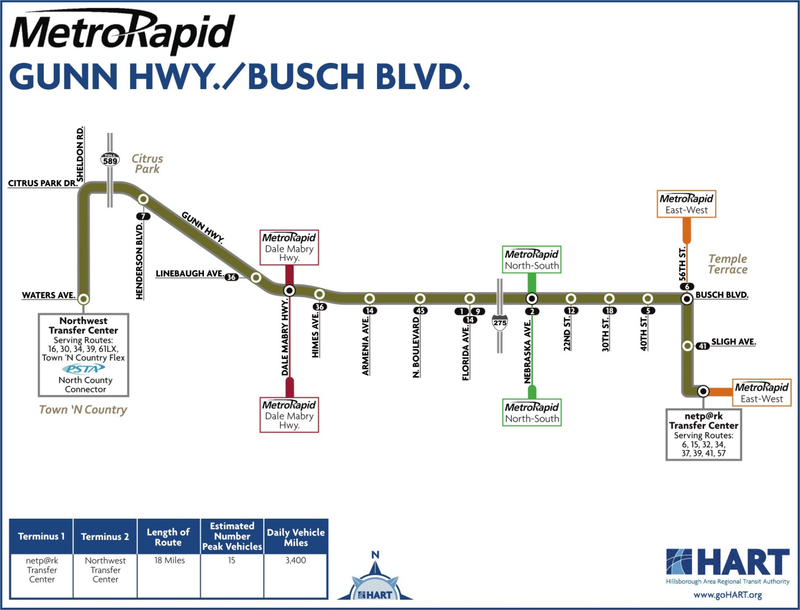 In the new TDP, there’s a brand-new line proposed for Busch Blvd/Gunn Highway (Route 39 overlay), along with extensions of the Dale Mabry Highway line to Lutz, the New Tampa line from the county line to a proposed Pasco County Public Transit park-and-ride in Wesley Chapel, and the Downtown-Brandon line from Parsons Ave to Dover Road. 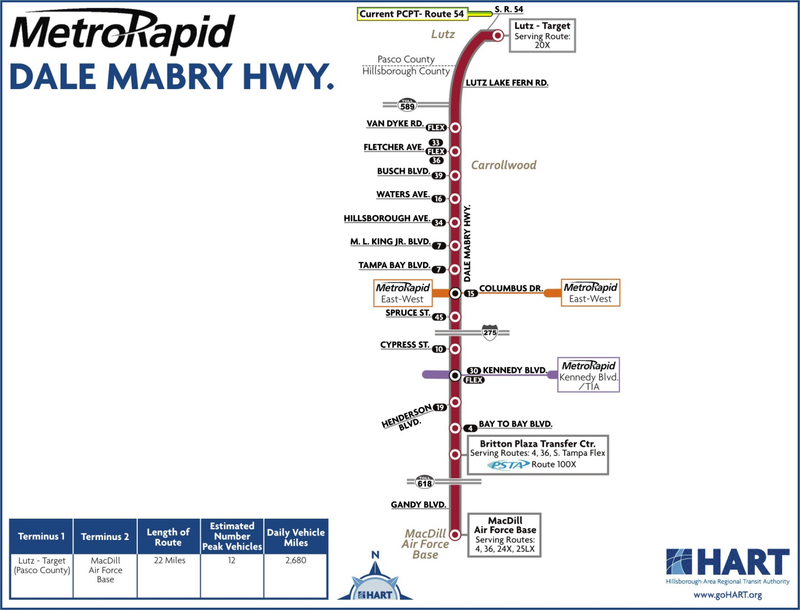 Below is a gallery of the 6 future MetroRapid lines that were designed by HART. 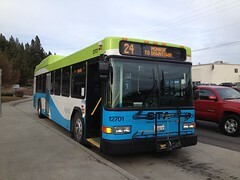 Note that they are in the same order as they are appeared in the draft 2014-2023 TDP, and do not necessarily reflect the sequence of implementation. I also drew all 6 planned lines, along with the existing North-South Line, on Google Maps as you can see below. 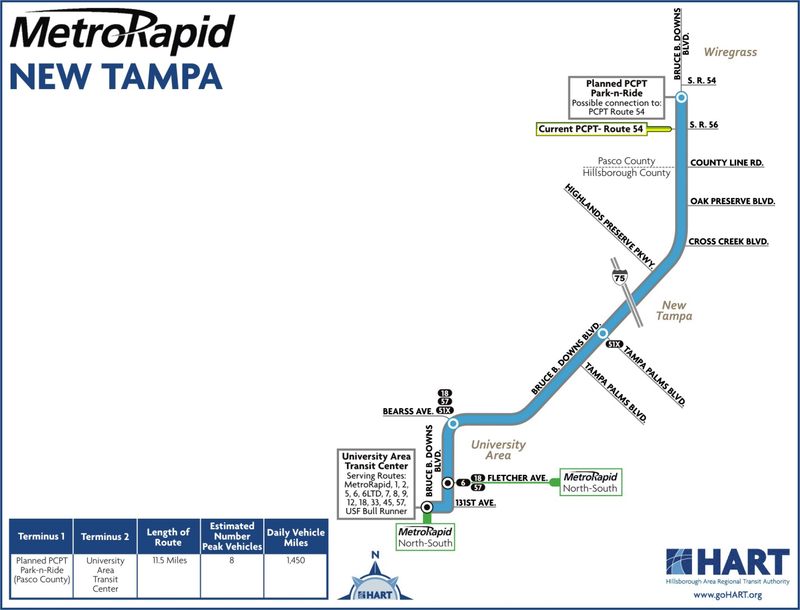 While the revised MetroRapid plans look very promising, we still need to consider that rail must play a role in Tampa Bay’s public transit future. Without rail, Tampa Bay stands to fall even further behind other metro regions that already have rail in place. However, with all of this said, all of these plans, even MetroRapid expansion, will all depend on future funding levels, and whether or not another transit referendum can pass in Hillsborough County. 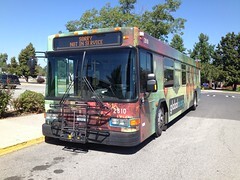 With the current state of the economy, and the ongoing political battles in Washington, it is still far too early to tell whether or not there will be enough support to keep transit plans moving along, including the Greenlight Pinellas plan over in Pinellas County, and another chance at a Hillsborough referendum attempt in 2014 or 2015. We’ve clearly reached a pivotal moment where MetroRapid N/S is doing generally well, but just about everything else is heading into a thick cloud of uncertainty as we all watch to see where the scales of the economy wind up at. In the very end, what happens in Washington will have a profound impact on what happens in Tampa Bay. Because if things turn for the worst, all of these transit expansion plans, including MetroRapid, could come to a screeching halt real fast, and even Greenlight Pinellas could be derailed before the 2014 vote is even given a chance to happen.